As a parent, the role of coach and mentor are a part of my responsibilities. The action of sharing, caring and loving, first comes from within the womb, and then we try to get the rest right! The role of the mother, is not only a female one. It is a parent role, and one I will share with dads on their day also. As a mother, it has been a journey, which never ends - thankfully. Some-days, I am supermom and on other days, I'm the wicked witch of the west or Fidel Castro (no democracy) of the past, if you ask my kids. They are grown up now, and love them, or feel infuriated, crazy, and befuddled by them, I'm proud of my children. My role was that of 'single mama' and I respect and salute all single moms and parents, who are in this role. When you are blessed with the babies, keep them, love them, protect them, train them up to be responsible, respect them, and then let go. All mothers can be leaders, whether silently or otherwise. We become leaders when we step up, to set an example, and to partner with spouses in leading the way. This is my humble opinion. From me to you - here are three posts below, which I hope will inspire you as much as they inspired me. Take some time out and look at you in the mirror - you are so beautiful, and you are a mom! Celebrate life! The only perfection is in the one who created us. He made us and perfectly formed us giving us all a ‘free will’ to make decisions and choose. Yes, we are the ones who decide where we go, and what we will do on this journey called life. I’m going to pull this one from very deep within, as I seek to share with you a place of peace and reassurance. The road gets rough sometimes, and we still need to get a ‘move on it’ and live, achieve and accomplish. What do you do when life feels like the sun has stopped shining, and the cloudy skies empty a downpour of continuous rain? What happens when you get to the point of frustration, when clinging to hope seems in vain? Well, today is the day you get to let the sun out if it’s not shining in your life. It’s also the day; you get to share your sunlight with someone who is having a cloudy day! It is important to know that you hold sunshine which you can draw on, and you can also share some light with someone who needs the warmth of the sun’s rays! I recall a day a few years ago when one of my employees advised his mother had cancer. He was having a tough time, because she was going through the stages of being in and out of the hospital. He came to work, never missing a day, but the light within him looked cloudy. It was a new project for me, so he did not know me well, but had previously trusted me to resolve a conflict involving him. Drawing him aside, I discovered he was shouldering the weight of his world and her imminent death. From that moment, I got to know him, his mom and his family more. I visited her, and got to understand a bit more about her role in the lives of her children, and her life. She was amazing. As the days approached and she got closer to leaving this world, her comfort was important as was his comfort. As couple days before she died, I visited with her kids, and asked the nurse, “What can we do to make her comfortable?” The nurse advised, “she is in pain, but make her smile, make her happy..” So at 10:00am that morning in a ward filled with patients and visitors, I turned my mobile on to YouTube and started to sing ‘I Smile by Kirk Franklin” … “I smile, even though it hurts, see I smile, I know God is working so I smile, even though I’ve been there for a while I smile…” and for a few minutes, she smiled, and moved her fingers, in sync with song. I even did a waltz with her youngest son, and she smiled. I visited her again the next day, but she was not aware, simply filled with pain. She died two days later. When the sun stops shining in your life for a moment and you are overcast with clouds, pull out your sun. When someone you don’t know very well is filled with cloudy feelings and showers bring on the sun! Having something to draw on means being filled with something inspiring which you have experienced. The experience will be drawn from something which is bigger than the problems and challenges of today. Life may not be a bed of roses every day, but you have to let the sun in daily. The sun radiates an abundance of heat, light and warmth, so we need to catch some, and store it, for the cloudy days. I just pulled out my sun, because those showers seem to be falling a lot, and the cloudy skies are hoovering. Suddenly, it feels quite good, and I’m sharing my sun with you. 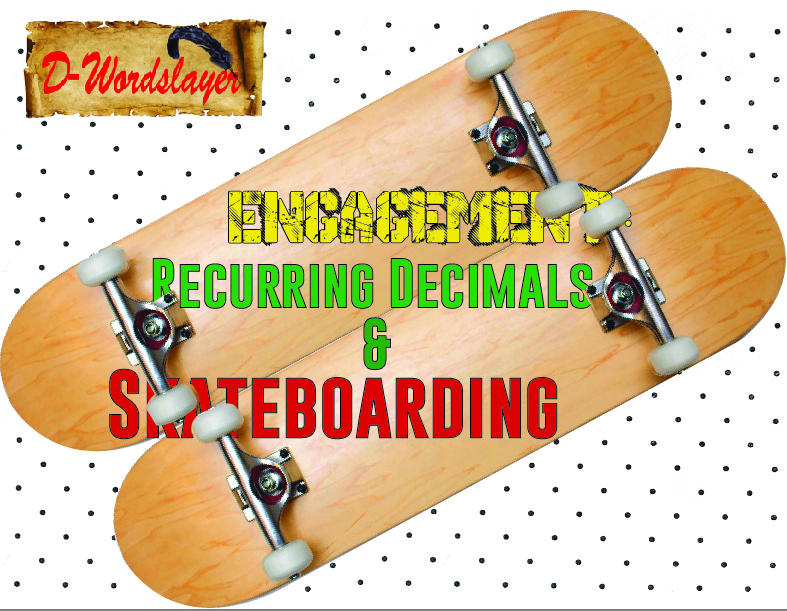 Engagement - Recurring Decimals & Skateboarding! Skateboarders, I think are some crazy interesting people. These guys do not play it safe. Why would you want to skate down stairs or a railing? Let’s take the stairs – its constant small drops, and jerks while on a piece of board or plastic on wheels. The image says it all. That's not my son, its another young hero, but Andrew swears its perfection! These guys know how to fall, and they are actually thinking about what they did wrong while falling. At least my first son Andrew expressed this as we discussed his passion for that extreme sport. Andrew is also a Liverpool soccer fan ( we call it football), and he gets a lot of ribbing for supporting a team which does not seem to like to win much - my opinion! He loves the team, and their team spirit, making sure we know their club song “You’ll never walk alone”. He is loyal, and will support that team win, lose or draw! 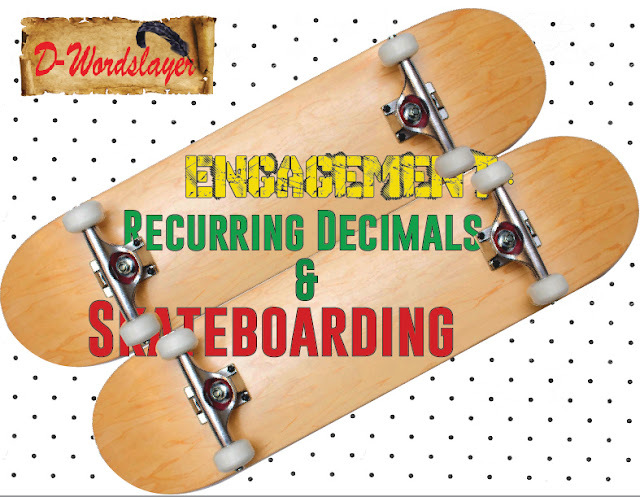 You need readers of your words like recurring decimals. Readers who can be relied on to regularly check in. How can this be done without engagement? The answer is it can’t. No one will regularly repeat the same action if, there is uncertainty or inconsistency in value. There must be a reason for a reader to choose to read your words consistently, and reciprocation should be consistent also! The recurring decimal appears when its values are repeated at regular periodic intervals, and only if the portion repeated is not zero. There is no value in coming back, at zero. The value of a recurring decimal is to keep the remainder going.Consistency establishes a reason to keep checking for new activity. As consumers we love shopping for things. Whether it’s a pair of shoes or the latest Mercedes Benz, we tend to keep going back, to wherever we got good service and a great product. If you like the service at the coffee shop around the corner, that’s your first choice for coffee. The financial adviser who keeps helping you save and grow your money, you will keep him close because you treasure his service. Recurring decimals are happening, periodically in your life with these great relationships. When zero happens, infinity stops. The recurring decimal can keep going to infinity, as with a loyal customer. Andrew was my personal assistant for five years. On one of our trips he met some folks from Blueprint Skateboards, and Paul Shier a great skateboarder who was partnering with them at the time. Paul gave him a ticket to a premiere they were having for skateboarding. Paul is a regular guy with a huge reputation, and a big heart! Andrew was getting high on engagement with this network of skateboarders, all strangers with one common interest! While you may be publishing weekly or daily it is important to engage consistently with your followers / network. Let your interest be about others and their work, while distributing your work. Establish your presence. Read an article, like an article, comment and share. There is much which can be learnt from others,and you will be able to understand their preferences. Your audience has opinions and views they are willing to share. Building a fan base starts here! Engagement requires willingness to go beyond your comfort zone, to see what the possibilities can be. The recurring decimal understands the need to check in with his customer – the numbers, so he can be prepared for the next visit. If he does not keep in touch, when that zero approaches it will be too late. Blogging requires us to engage periodically with our customers – we are the recurring decimals! Salespeople must periodically check in as recurring decimals or they will get to the point of zero very fast. 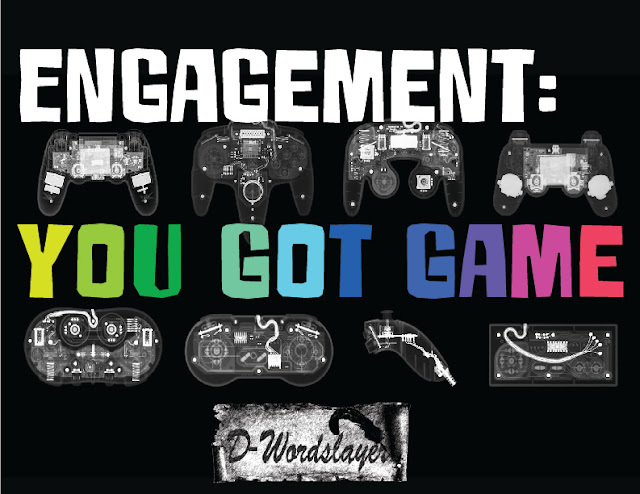 Engagement can be as rich and as fruitful as you choose to make it. Most of all whatever you decide to do, be fearless like the skateboarder - he knows he will fall, but keeps trying for a strong landing! The premiere was great Andrew recalls. As he practices his skateboarding, he jumps and the friction created, by his speed and the angle of his feet, causes the board to fly with him – landing strong or falling flat. He gets up, and goes again, his engagement with his audience his goal to his success! This is the 2nd part of my engagements posts. I hope you enjoyed as much as I did preparing it for you. I relate most things back to my life, and my kids say with exasperation, " that's experience taking" when I share! Can't get on the skateboard with him yet, maybe someday! 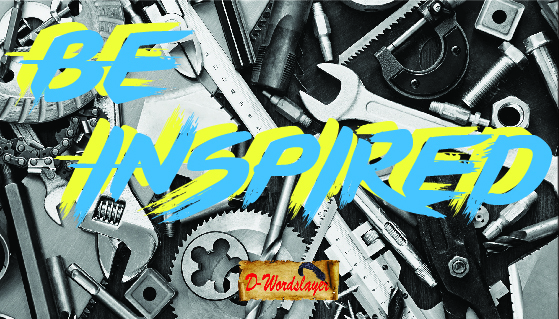 Engage with me and our readers and writers by, liking, commenting and sharing. When we share, it increases the value of the engagement, and helps us & others! 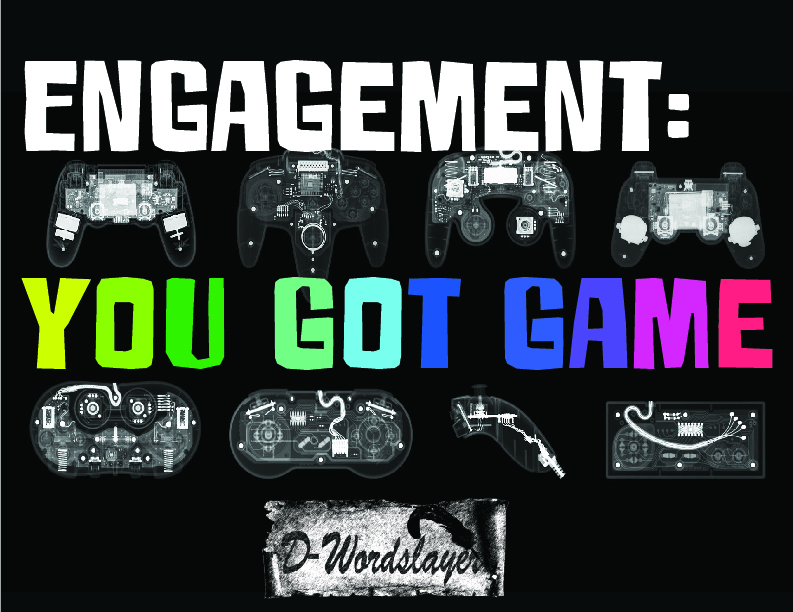 Engagement - You got game ! My second son Aaron, traveled with me to London for a business meeting a couple years ago. We were travelling with Virgin Atlantic ( best airline!) via Barbados, and I used the opportunity to meet with a major business customer. Aaron, had never been to Barbados, and was quite pleased to meet with the customer, and see a bit of the island. The sea surrounds everything and he enjoyed lunch over looking the beautiful ocean with our client. It was in his opinion a great place for a business meeting with excellent food! Aaron, is a Manchester United Soccer fan ( we call it football) and can also be considered a gamer. He is in a 'stuffy traditional career'- accountant, and an entrepreneur, as is my elder son. The genesis of this post is actually based on a conversation he was sharing with his brother. I was eavesdropping and enjoyed the experience, though I did jump in at the end! "You are, either a part of a team or on your own, but there is constant engagement." Aaron's voice changes when he speaks to his online gaming friends. He tries to slow down his words and adopt sometimes an accent which can be understood based on the country of the player's origin. In the excitement, there must be control, otherwise the other person will not understand what is being communicated. Gaming he advised, "helps to train your mind to think strategy, communication and engagement. It helps with focus and consistency." As he spoke I listened intently. It was always my assumption, he was wasting time on the computer. Stereotyping these online games negatively can be a parental misstep, I now admit. He also advised, "gaming helps to understand human behavior," as he related an incident when he was part of a team and there was a war. The strongest team kept winning, and another team wanted to join forces with his team to eliminate them in a battle. The team tried to bully his team, advising if they did not accept the invitation to join, they would eliminate them when they got stronger. Bullying tactics do not work in engagement - Aaron advised his team not to accept the invitation, as their survival would be in jeopardy if that rival team won. As he explained to his team-mates, "negotiation requires a basis of trust and respect, not coercion and disrespect." Wise words from this gamer/accountant! Can a 'like' or a 'follow' be considered interaction? Sharing online indicates that there can possibly be an exchange taking place resulting in a tangible movement towards a benefit for both parties. If I offer a product for sale, someone can buy it and not use it or remember they have it. Another customer can use the product purchased and advise of satisfying experience by sharing of opinions. In both cases, a sale is completed, but one increases in value. Understanding, why people behave as they do requires listening, observation, and interaction. This is my conclusion based on my own experiences. For many people, time is a factor in their level of engagement, and accepting their presence for showing up has a lot of merit. Maybe reading, was cathartic, much needed at the end of a long day, and they simply needed to be with you. Their gratitude for you , you may never know. The race is against ourselves not the clock. When we make a conscious move to slow down, we can enjoy relationships and communication. This is relevant in our online presence and general daily living. There is joy which comes from sharing words and engaging in conversation - comments. Soccer (football) is a contact sport. It is also an engaging sport, which joins strangers seated or standing in a bond of mutual engagement - whatever team they support! Aaron went to his first Manchester United game in Manchester City, UK on our business trip. His love for the team inspired a season pass seating, in a great location at the stadium from our customer. He made friends with strangers seated around him, and in the trains on his way back to the hotel. They engaged, and he lived his most memorable experience, through engagement! This is the first of a series on Engagement and Communication from my experiences and discussions. Collectively I've amassed over 30 years experience in the business of people, sales, marketing, business development and entrepreneurship . I'm hoping my experiences shared will give some practical examples of how much we have in our own back yard. Keep your seat-belt on, as this journey will make you feel something! Engage with me if you enjoyed this post, and share your feedback with your colleagues and friends. If you disagree with anything I've shared, please share and lets have some great discussions!